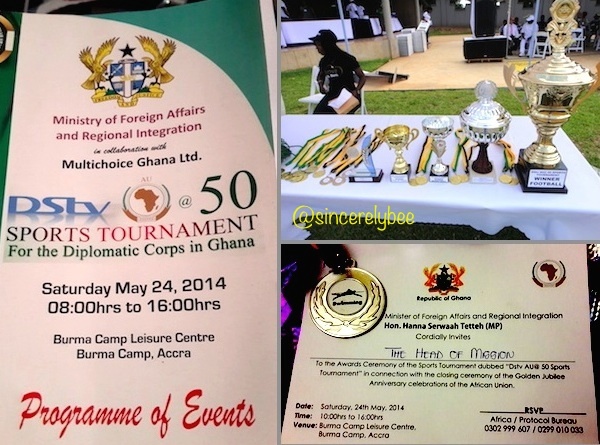 Our Saturday (24th May 2014) was spent at Accra’s Burma Camp, for a sports tournament in celebration of Africa Union, organised by Ghana’s Ministry of Foreign Affairs and Regional Integration. 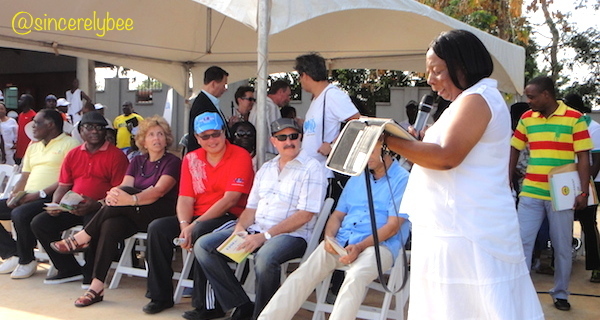 Members of the diplomatic corp took part in events including basketball, football, swimming, tennis and table tennis. The programme book; the medals and trophies up for grabs; the invitation card. A friendly “Tug-of-Peace” match between “The African Nations” (left) and “The Rest Of The World” (right). “The Rest of the World” lost to the rest of Africa… look at their might! Food as consolation! 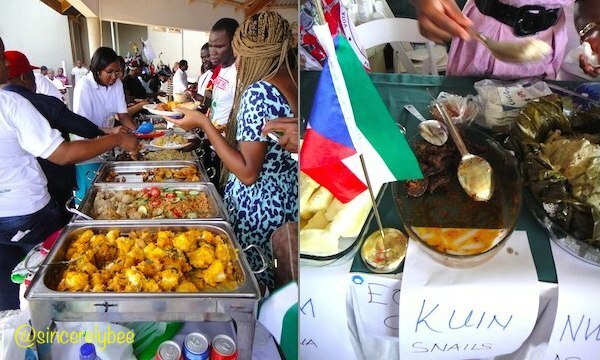 Over-hyped as “A Taste of the Planet”, it was still a good opportunity to sample the cuisines of some African nations, starting with host Ghana that served rice and beans (Waakye), spaghetti black pepper and beef sauce. A good spread from Nigeria (left) and Guinea (right). 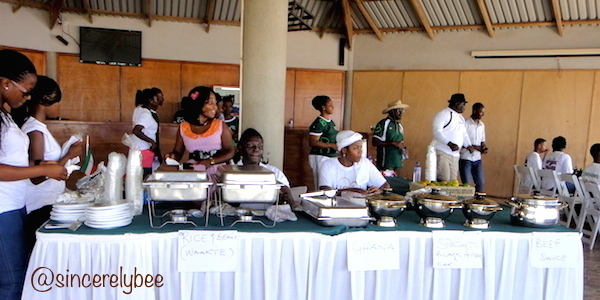 A feast from Gambia (left) and also South Africa (right). Dishes from Zimbabwe, Burkina Faso and Mali. The rest of the world’s offerings of biryani (India) and desserts (Malaysia). Prize-giving time… Deputy Minister of Foreign Affairs and Regional Integration, Mr. Thomas Kwesi Quartey (in maroon polo) presented the medals for the swimming event… (Left) Cissé, a former national swimmer from Ivory Coast, expectedly grabbed the gold with the timing of 1.14 minutes; (Right) Way past his prime, this guy in blue cap proved he still had it and came in second at 1.35 minutes, doing his country proud… or maybe just his girls. The girls cheered for their Papa on the sideline; the rest of our team on a family outing. Ambassador of Zimbabwe to Ghana Madam Tendal Musoko, who is also the Dean of the Diplomatic Corps, delivered her closing remarks for the event. This entry was posted in African Adventures and tagged Accra, Africa, Ghana. Bookmark the permalink.